Sure, garages are used to house cars. 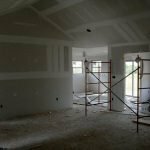 But they serve a number of other purposes – a garage can also be utilized as a workspace for those who like to build things, a mudroom, and a place to keep all of your holiday décors stashed away until it’s time to untangle strands of lights again. 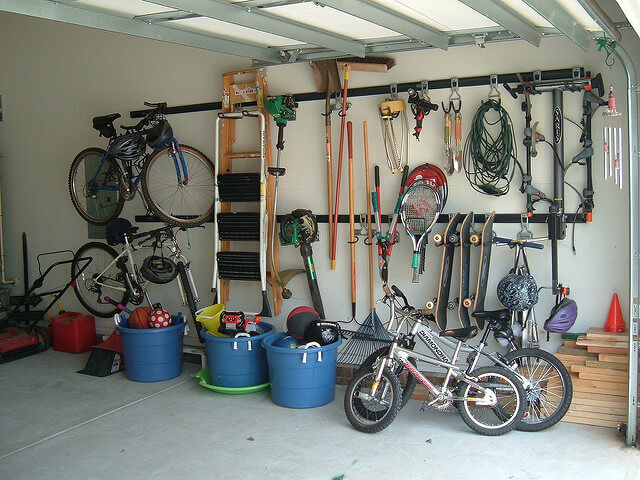 If you’re feeling a bit underwhelmed by your car-storing space, let these five garage makeover ideas help you get driven by inspiration. Looking for a simple way to keep your two-wheeled rides organized? This simple shelf/rod/hook storage solution keeps everyone’s bike paired with its helmet, and frees up floor space in the garage. And if you’re a DIYer, you can build one bike rack for about $90. Mudrooms provide a place to store shoes, coats, and pretty much anything else that could bring unwanted parts of the outdoors into your home. But they needn’t be actual rooms of their own. 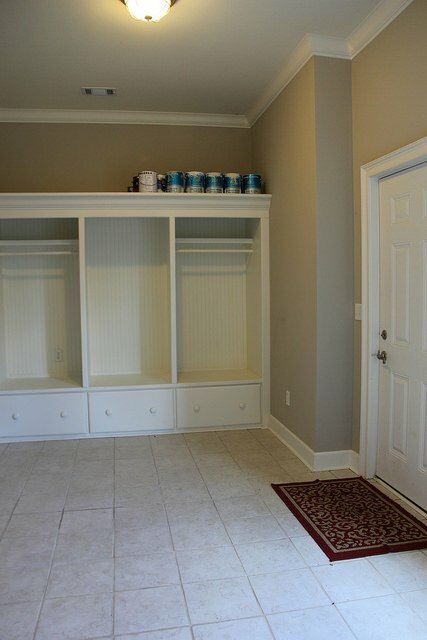 Hooks, a place to sit and remove shoes, and a painted door can create a mudroom and welcoming vibe in your garage. TIP: With our free Home Remodeling Costs Estimator you can find out in minutes how much your garage renovation will cost. 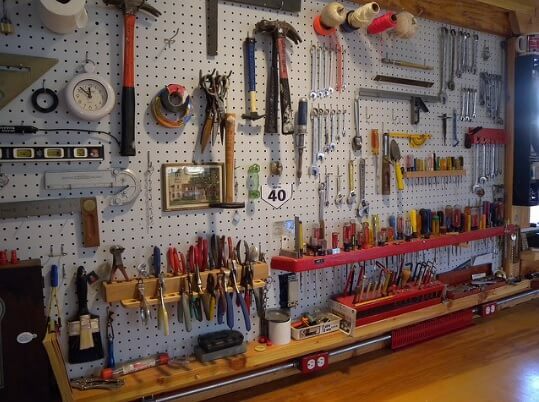 Organization enthusiasts can have all kinds of fun with blank garage walls and plenty of pegboard. Simple storage solutions – like using empty jars and hanging wire baskets to keep hardware tidy – also help create a place for everything, and keep everything in its place. TIP: Use our Real-Time Remodeling Calculator and find out in minutes how much your garage remodel will cost. 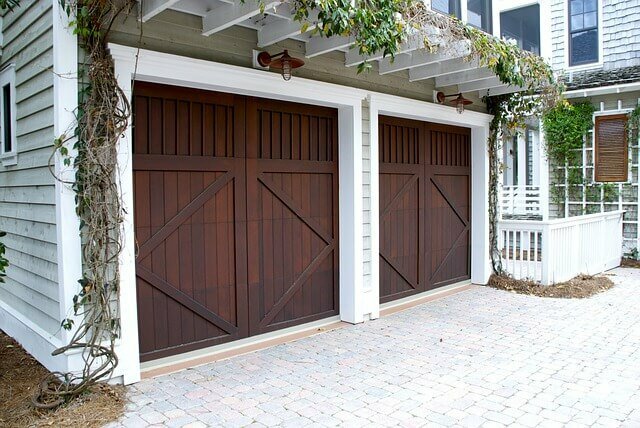 Another important element to consider in a garage makeover is the garage door. 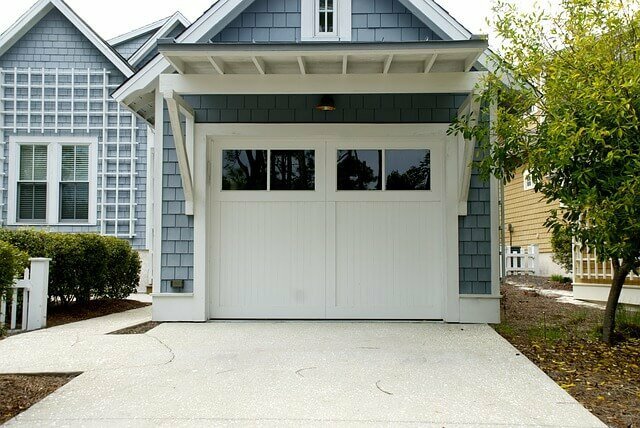 Garage doors provide a space to show off your style and personality, especially if they’re located on the front of a house. Buy carriage-style doors (or create a faux version), pretty up your garage door with a leafy pergola, or opt for unusual door designs or materials, then relish in your home’s boosted curb appeal. 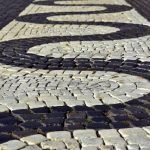 Epoxy, acid stain, garage tiles – there are tons of options for those who want to go beyond basic concrete for their garage floor coatings (concrete can even be painted to look like hardwood or rock). 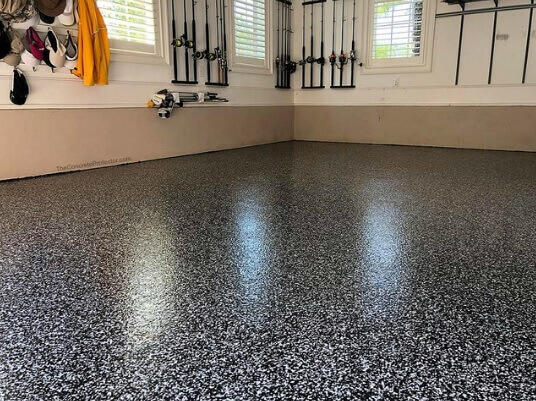 A bright paint color and mats provide simple ways to transform garage floors.